We haven’t had much good news from the untitled Han Solo movie lately, but at least Emilia Clarke and Chewbacca appear to be enjoying themselves. The actress, whose time on “Game of Thrones” is nearing its end now that the series has just 11 episodes spread across two truncated seasons remaining, is looking beyond Westeros and into a galaxy far, far away; there, she took a brief Instagram video featuring everyone’s favorite wookie. “Dunkirk” and “Girls Trip” held well their second weekends, taking first and third place in the top 10, but the full list totaled $138 million — down 29 percent from the same weekend last year. And while a second weekend at #1 is great news for Christopher Nolan’s war film, at $28 million it’s the lowest #1 of the summer — and below any #1 for last summer as well. The top spot was there for the taking for “The Emoji Movie,” Sony Animation’s latest offering (at $50 million in budget, economical). But with audiences reacting like critics (its 10 Metacritic score near record bad), the attempt to bring phone emojis to life did have one rare achievement for a new animated film: It fell Saturday from Friday, down 14 percent. Had “Atomic Blonde” performed somewhat better than half as well as the similar female action hero “Lucy” on exactly the same date in 2014, it also could have taken #1. But it fell short at $18.5 million and only #4. At $30 million and potential worldwide interest, it could be OK — but not good enough to help rescue wilting results at U.S. theaters. “Dunkirk” did the minimum it needed to stay on track for at least a $175 million domestic total. Worldwide, it is at $234 million with some big territories waiting to open and some stronger holds elsewhere. Still, among Nolan’s films and also compared to other war films, the 44 percent drop is not stellar, even if it is better than most second weeks for top openers. It also pales when compared to “Girls Trip.” Its 36 percent fall is better than “Bad Moms” last year in its second weekend (and $6 million higher in gross). Earning $100 million now seems certain, with a real chance of topping the $113 million “Moms” surprised with last year. “Trip” cost $19 million to make. “Baby Driver” (Sony) is also holding very well, now at $92 million and also guaranteed a $100 million total. And “Wonder Woman” (Warner Bros.) is down a tiny 23 percent to stay in the Top 10. It should hit $400 million by next weekend or right after. Sign UpStay on top of the latest film and TV news! Sign up for our film and TV email newsletter here. Kathryn Bigelow’s first film since “Zero Dark Thirty” is the first released by Megan Ellison’s production company through its own distributor. With reviews nearly as strong as “Zero” and “The Hurt Locker” but shifting to the home front in this recounting of the Detroit riots exactly 50 years ago, this opened in 10 markets ahead of its wide release this Friday. This is a tough subject, however well received, and Annapurna and its team has a challenge opening this outside of the festival/awards season and finding a wide swath of African-American and other upscale audiences. Figures at the four core New York/Los Angeles theaters that normally play platform runs came in with a per-theater average of around $30,000, though that’s far below “Zero” and somewhat less than the summer time release of “Locker.” What is notable initially is that two of its three best grosses were Detroit theaters that otherwise would never be part of a limited opening, and that these and similar African-American oriented locations had decent Saturday increases over Friday. (Taking out the Thursday preview showings, Saturday was a credible 28 percent over Friday). This remains a risky release, more so without the awards-environment trappings to propel it. Next weekend will tell the real story of its potential. What comes next: Around 2,800 theaters will show this starting Friday. Davis Guggenheim’s “An Inconvenient Truth” in 2006 opened also in four theaters, to an adjusted initial PTA of around $95,000. The sequel, again with Al Gore placing the climate crisis front and center, had diminished returns, but strong enough to be way ahead of nearly all documentaries this year. Paramount along with Participant Media again are giving this the full weight of their support, which will be seen even more as it heads toward nationwide expansion this Friday. What comes next: The 2006 initial effort got to over $30 million adjusted, one of the top documentaries ever along with two Oscar wins (including Best Song). This won’t have the same response, but it still should have a presence above most similar films ahead. One of the top grosses for a subtitled film in recent months, here it’s an American independent film in Yiddish and shot in Brooklyn. A custody battle dictated by orthodox religious norms is the story here, and though the audience initially looks niche, strong reviews and A24’s backing could propel this to higher results. What comes next: National expansion starts Friday. A 20-something man obsessed by a TV show from his youth and his re-entry into the world is the story for this Sundance-premiere film, which received favorable though not rave reviews in its prime theater openings in New York and Los Angeles. It will need word of mouth to sustain these runs, though it could be one of those specialized films that works better as it expands beyond coast cities. What comes next: SPC will get this out to any possible theater that might be right for this. One of two rock-related documentaries to open this week, this one focuses on the surprisingly strong presence of Native Americans (both from the U.S. and Canada) including Jimi Hendrix and Robbie Robertson. What comes next: Dates in at least 40 markets are planned around the country ahead. This Green Day-produced documentary about the niche San Francisco area punk scene played very limited shows at New York’s IFC Center, which makes this number stand out above the raw numbers. What comes next: Similar event showings around the country begin this week. The impact of an affair on a 1990s New York City family is the center of this Amazon-acquired Sundance film, which quickly expanded to adequate results in top markets. Catherine Deneuve’s co-lead role in this French drama is propelling this to a credible showing for a subtitle film these days in its second weekend. A major jump for David Lowery’s return to indie films with two big stars in Casey Affleck and Rooney Mara. Despite its pedigree and good reviews, this appears limited to niche interest. U.S. gross nears $2 million for this Canadian/Irish co-production with Sally Hawkins as an oddball artist in a remote village. A mediocre expansion for this drama of aristocratic 19th-century adultery. The nuns continue their mixed-result run, with a drop from their gross last weekend. Sofia Coppola’s Southern Gothic remake is winding down, with $11 million looking like its total. Canadians out of their elements and the comic effects continue steady play in niche theaters. Also late in its run, Sam Elliott’s lead role as an actor facing mortality will end up at a credible $4 million. Miguel Artesta’s cutting-edge drama with Salma Hayek and John Lithgow keeps playing after two months and nearly $7 million total. This camera comparison video is totally unfair, but it does teach us a little about why expensive cinema cameras cost so damn much. Usually when you watch cameras battle it out in a comparison video, you’re looking to see which one has the best image quality, color, and dynamic range. However, the team over at Corridor Digital put two contenders in the ring, a $50 Sony Handicam and a $50,000 RED Epic Dragon cinema camera, knowing full well that one would utterly clobber the other, but also knowing that such a drastic difference in image quality could teach us all about why the cost of pro-level cinema cameras is so high. Okay, the Dragon is better than the Handicam. (Where’s my award for excellence in cinematic journalism?) That’s obvious, but that’s kind of the point of the entire video. It’s not about figuring out which camera performs better, it’s about figuring out where cinema cameras out-perform consumer/prosumer cameras specifically and explaining why they do. 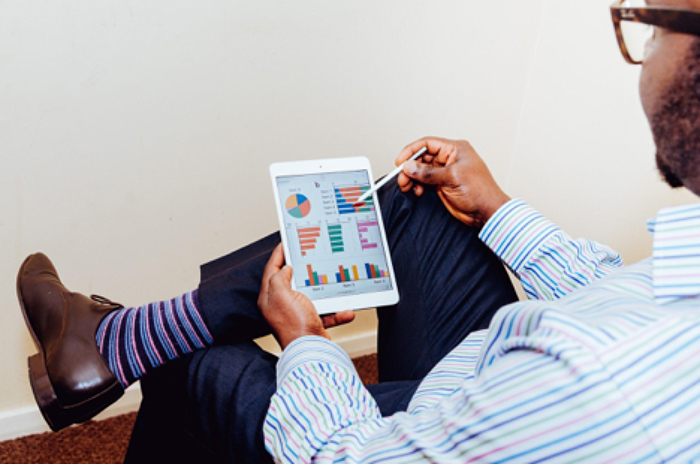 Even though you might not realize it, marketing is really just another communication medium. You’re taking thoughts and ideas and presenting them to people in a form that is easy to digest and to support. As is true with any communication medium, the way in which a message is perceived often affects its ultimate impact. You could have an objectively good idea on your hands, but if you present it in the wrong way you’re going to do a lot more harm than good. 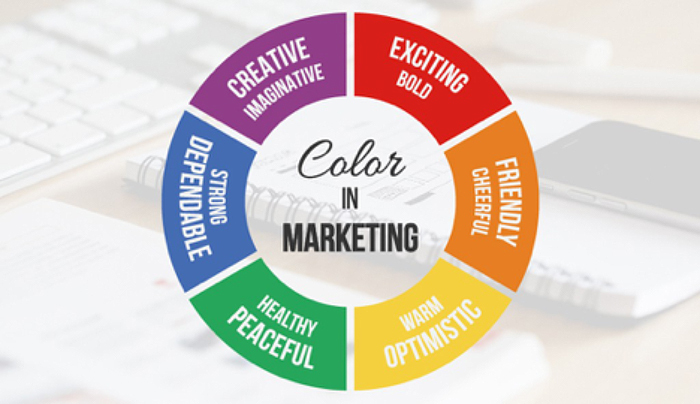 These ideas are ultimately why great visual content is so important, especially in an era dominated by digital technology and social media networks. Visual content isn’t just about pretty pictures – it’s about a better, more natural, more effective way to communicate with the widest possible audience. 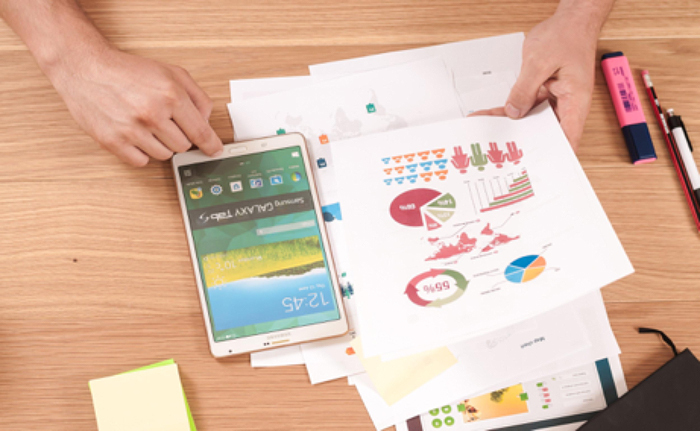 Make no mistake: creating visual content is ESSENTIAL in today’s communication landscape for a number of compelling reasons that are more than worth exploring. Part of the reason why visual content is so powerful in the first place ultimately comes down to the way the human brain actually operates. Keep in mind that in a given day, 90% of all information sent to the brain by your senses in visual nature. This goes a long way towards explaining why according to most studies, 65% of people are visual learners. They simply understand and retain more when it’s taken in visually versus what they read or hear. A number of studies have been done over the years that support the idea that visuals are one of the most effective methods of communication that we have. Consider the fact that the human brain can interpret images in just 13 miliseconds, or that people following directions with text AND illustrations do 323% better than people just trying to follow along with text. We’ve always been visual learners – it’s an idea as old as the human race itself. The Internet and marketing in general are only finally starting to catch up with what we’ve always known. What is marketing if not an effort to get someone to follow directions, meaning that you’re trying to entice someone to make a purchase or take a particular step? If the people do far better at following directions with images than they do with just text alone, it stands to reason that this is something you would want to get behind. Visual communication is also inherently more powerful than traditional text because it gives you a far greater level of control over what matters most of all: your message. Consider the example of a video (in this case from my video series), when you take an idea and present it in the form of a 1000 word blog post, there are a lot of factors you can’t control. You can’t control how people are perceiving certain ideas. You can’t predict how they’re going to emphasize certain words for maximum impact. You can’t control how fast they read. All of these could potentially dilute your message. When you take that same message and present it in the form of a video created with a tool like Visme, on the other hand, suddenly you eliminate all of these X factors. A narrator can emphasize certain words for impact. Compelling visuals can keep someone watching. You can control pace, which you can control the rate at which ideas are conveyed to keep people from getting too overwhelmed (or again, to underline a particularly important point). Statistics like these also go a long way towards explaining the direction that marketing and the Internet in general is already headed in. One study estimates that people tend to form a first impression in a mere 50 milliseconds – because the brain processes visuals much faster than it does simple text, it stands to reason that a visual first impression will almost always be more powerful than a block of words that you hope someone reads. Likewise, the vast majority of all people already just skim the content they read online. Most people don’t make it past the headline and when you get past the first paragraph of something, those numbers start to drop off very quickly. According to some studies, it takes just eight seconds for someone to get distracted – though others have that number as low as 2.8 seconds. For marketers, it’s true that these are all challenges – but they’re ones that great visual content helps to solve essentially all at the same time. Remember that by as soon as 2018, an estimated 84% of all communications will be visual according to Inc.com. They also predict that 79% of ALL Internet traffic will be video content by about the same period of time. 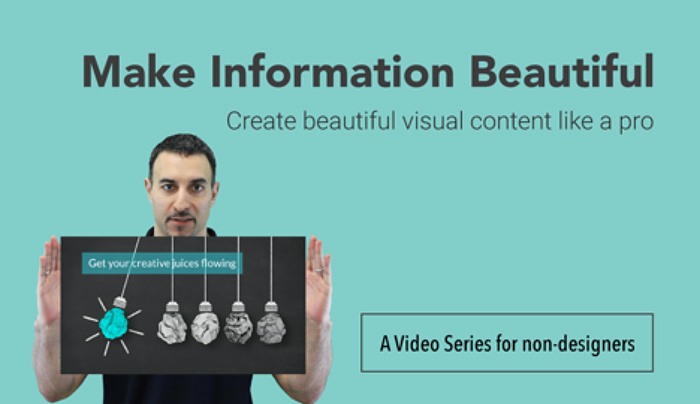 Visual content is a necessity in today’s communicate landscape because it checks a lot of boxes in one fell swoop. It’s instantly attention grabbing, compelling and engaging. It translates a message into a medium that the brain is already receptive to and it’s one that people have already said that they want more of. If you’re looking at a tool that promises all of this and more, it would be a huge mistake not to take full advantage of it. Yet that’s exactly what you’re doing by failing to incorporate high quality visual content into your campaigns. 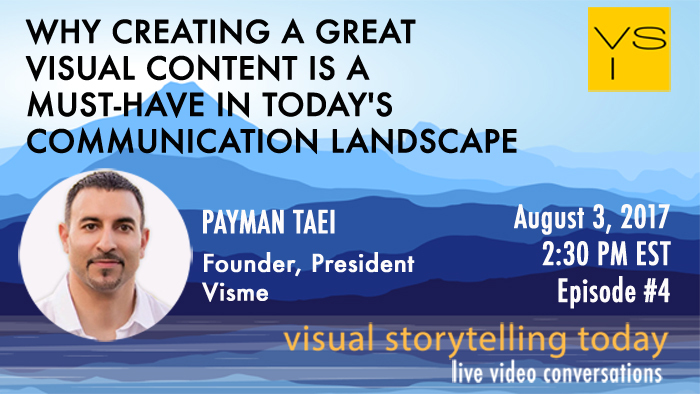 Join me on August 3rd @ 2:30PM ET on Visual Storytelling Today live video show. I’ll be talking more about why visual content is a must-have in today’s communication landscape, including sharing an effective end-to-end process, examples, and actionable tips you can apply to your business. If you’re traveling with camera gear, expect your next trip through airport security to be more time consuming. Other than long layovers and cancelled flights, going through security is the most annoying thing about being in an airport, and now it’s about to get even more so. The TSA announced Wednesday that they have plans to raise airport security with brand new domestic screening procedures targeting electronic carry-on items. These stronger security measures will require travelers to place all electronics larger than a cell phone inside bins for X-ray screening. This is the same exact protocol the TSA has enforced for electronics like laptops, but these new screenings will include smaller items such as tablets, handheld game consoles, and yes, even cameras. IMAX is officially going to start pulling back on 3-D releases, so we can all stop having to make sure we’re buying tickets for the 2-D screening.